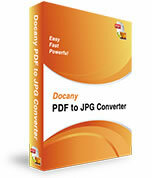 Docany PDF to JPG Converter is an efficient and convenient program to convert PDF to JPG or in other format images, such as BMP, PNG, TIFF... With a few mouse clicks hundreds of PDF files will be converted to image files automatically. So you can easily edit, re-use, re-organize, present, and share your PDF files. Additionally, it doesn't require Adobe Acrobat or any other PDF plugins to be installed. Convert hundreds of PDF files at a time with just a few mouse clicks. 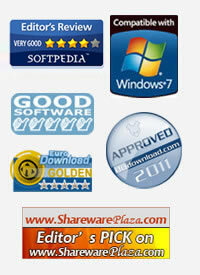 Convert PDF files with super high speed, support multi-core processing. Both amateur and professional users can deal with PDF files easily. Convert hundreds of PDF files at one time in batch mode. Capable to convert password protected PDF files to images, it will ask for a password during importing PDF files. Allow convert the complete document. Allow partial document conversion, specify the pages or page range for conversion and this program will convert the document accordingly.